With the 2016 elections coming near, Obama is ensuring that his successor apparent — Hillary Rodham Clinton — has a strong voting base in the most populated and crucial electoral regions. 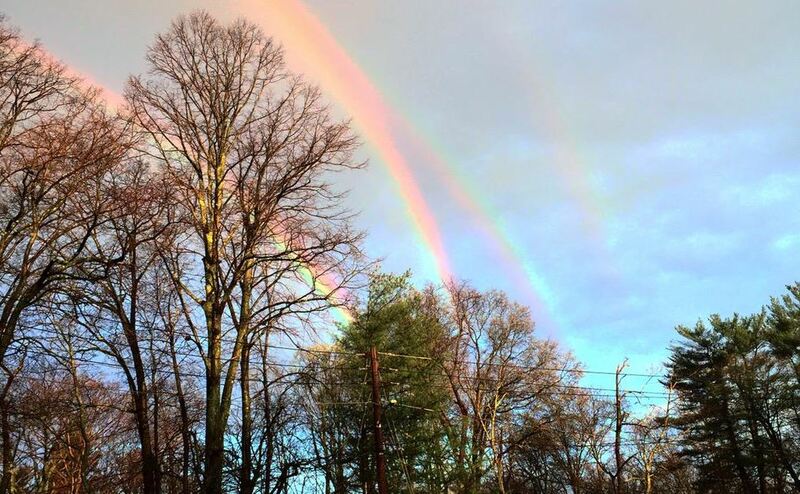 Yesterday, a New Yorker captured an absolutely stunning picture of four rainbows in the sky. God originally created the rainbow as an act of love, bending light in such a way as to always remind humanity that he would not flood the entire Earth again to punish us for our sins. But with their eyes always fixated on bold, colorful and festive splashes of life, gays wanted the rainbow for themselves. At some point in history, Satan must have struck a deal with a gay man. “Give your soul to me, and I shall give you command of the rainbows”. Now in modern secular culture, rainbows are a potent symbol of homosexuality. The festive colors are unto a curio glass that a gay will use to adorn their spacious, modern homes: their attempt to always have a rainbow’s beauty at their fingertips. Locals confirm that military grade airplanes were seen flying over New York for the past week and it cannot be a coincidence that Obama is causing these rainbows. He has laced the air of New York with over four times the normal amount of homosexual chemtrail additives. If you have a married husband, have him call in sick the rest of the week and have him wear a mask filter. The potency of chemtrails to cause this type of rainbow formation can only mean a man will not be confused about his homosexuality after catching a whiff of it. He will full out dive into the lifestyle, like a hungry lion being served a rump roast of garlic buttered zebra on the Savannah.